We take a look at what to expect from Microsoft’s E3 2018 Press Conference as they try to get back on track with their first-party lineup that disappeared since last E3. 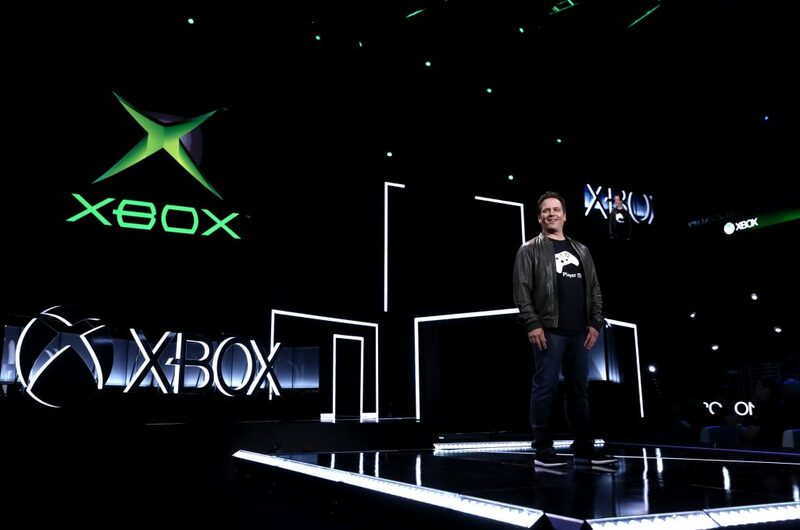 Microsoft comes to E3 with a lot of good momentum on their side with Xbox and Xbox 360 BC continuing to do good things along with Game Pass getting some more subscription money coming in after they committed to adding all new first-party games to the service for the foreseeable future. That said, their first party offerings have been sparse and sometimes lackluster of late as mistakes from earlier in this generation have come back to haunt them with a previous E3 like in 2014 featuring Kinect, Fable Legends, Project Spark, Halo: The Master Chief Collection, Phantom Dust, Scalebound, and Crackdown all being featured that were either cancelled, shutdown, majorly delayed, released in a semi-broken state, or became something completely different. They’ll get the chance to begin righting the ship as the first press conference on Sunday, June 10 at 4 PM ET/1 PM PT. Let’s begin this preview with the elephant in the room–Crackdown 3. It was originally announced four years ago and was given a definitive November 7, 2017 release date last year to coincide with the launch of the Xbox One X. It was then delayed to a nebulous 2018 date with no official word at any point as to why it happened and when they expected it to release this year, but the latest rumor is that it has been pushed to 2019. Something must have gone really wrong with that game for it to slip nearly two years from such a confident announcement as a headlining Xbox One X showcase game. The little bit of gameplay we’ve seen has not looked all that great, so it’s not a huge surprise that it may not have come together all that well. Onto the other games we can expect to see from Microsoft here at E3… whether on the press conference stage or their various streaming shows before and after the show, there are quite a few games that seem likely to show up. We will probably get an update on Sea of Thieves with their plans for getting that game back on track after the lackluster launch three months ago as Rare tries to bring people back into the fold. Ori and the Will of the Wisps should also make an appearance with a release date since there isn’t a ton here to cause concern after the original game was one of Microsoft’s best new IPs of this generation. On that same note, Below seems poised to make its grand return to E3 after several delays as Capybara Games sat down to make sure they got it right. 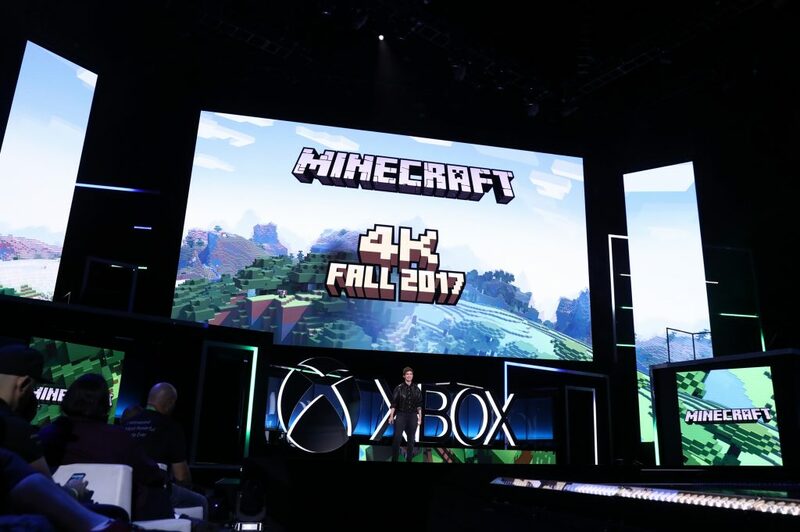 Minecraft probably gets a segment to talk about new features with a date for that 4K graphics update that was featured at E3 2017, which hasn’t been talked about much since then. Forza Horizon 4 seems extremely likely as one of the featured games on the Canadian Walmart leak that is mistakenly listed as “Forza Horizons 5” that is consistent with some of the other misspelled titles on the list. Gears of War 5 also appeared on that leaked list, which is not surprising given the success of Gears 4 and fairly consistent mentions of a new Gears of War game by Phil Spencer and others at Microsoft. Another big rumor that is not a surprise would be the return of Fable once again with the surprise being that the people behind the Forza Horizon games are working on this reboot. Halo 6 could also make an appearance to hype up the Microsoft faithful, but a 2018 release seems unlikely. That game could easily just get a tease here for a Fall 2019 release or just miss E3 all together if Microsoft wants to focus on the games that are out the soonest. The one issue here is that all of these games are the same group of titles Microsoft had to trot out almost every year last-gen when the new IPs stopped showing up, so we expect some new games to show up as well with some interesting partnerships that you may not expect with the way that Phil Spencer talks about that. Let’s move to third-party games that will be at Microsoft’s press conference, which will probably include highlights like Battlefield V and Anthem if EA wants to make some special announcements there. If their work with CD Projekt Red continues, you could expect to see Cyberpunk 2077 make its grand debut at E3. Despite the delay to 2019 for Metro: Exodus, that could also reappear after making its debut at Microsoft’s show last year. Based on past partnerships, we could also see The Division 2 and Assassin’s Creed Odyssey if Ubisoft wants to get a trailer out the day before they show gameplay at their own show. And of course, we can expect to see a barrage of indies there with an ID@Xbox montage along with some other announcements. It also wouldn’t be a huge surprise to see Player Unknown’s Battlegrounds get an official date for leaving Early Access. Microsoft also likes to talk about services at their E3 press conferences, which will most likely center around Game Pass, Backwards Compatibility, and whatever dashboard update they’re working on right now. It doesn’t seem like there would be much to talk about with Game Pass besides numbers unless they’re going to add a bunch more games to its offerings, which could include all of Microsoft’s past releases on Xbox One, Xbox 360, and Xbox if they want to be more aggressive about their commitment to put their games on Game Pass. BC could also get a shoutout with various numbers to tout their success along with announcing more games that are coming to both Xbox 360 and Xbox BC. As for dashboard updates, the refund option that has been stuck in preview program hell could finally get a wider release either within the preview program to those on lower rings or in general with the next update. Folders seems to be one of the bigger features they promised back in April that has slipped from the most recent update, which could also finally get a date here. The big deal thing they could announce is Alexa and Google Assistant support for Xbox One, which ironically would be coming to the platform five years after Microsoft touted how amazing their voice control support was for controlling the TV experience and the dashboard as a whole and after they discontinued the Kinect adapter for the Xbox One X and S consoles that don’t have native support for the voice-controlled camera. It would not be a surprise to see Microsoft push some new mic options to make the most of these new additions to the AI voice-controlled assistants. It doesn’t seem like VR has much of a chance to be unveiled for Xbox One X after being such a big part of its original announcement two years ago, so even support for their Mixed Reality Windows headsets seems unlikely at E3. Microsoft has a lot of opportunities to show that they’ve turned the corner on a bad start to this generation when it comes to first-party games to help right the narrative about how Sony and Nintendo have killer first-party lineups while Microsoft has nothing but Forza. They will also have a lot of other stuff to show that there are other reasons to get an Xbox One even if you might not have interest in Microsoft’s lineup or are willing to wait for whatever is coming on the horizon. Stay tuned for our upcoming previews of Sony and Nintendo’s E3 2018 press conferences as we look at how the last two shows of pre-E3 are looking to keep their momentum going.